Avoid Obvious Architect partnered with Studio C Architects to provide master plan design to convert an existing industrial site in Williamsburg, Brooklyn into a mixed use development with three high-rise towers. The idea of the master plan is to connect all three buildings to views, contexts and people. It wants to maintain an industrial and creative feel while providing a family oriented environment. The orientation of the mass responds to different parameters and turns the overall design into an crossing matrix. The matrix activates the waterfront and provides a much needed broad walk and greenery for the neighborhood. 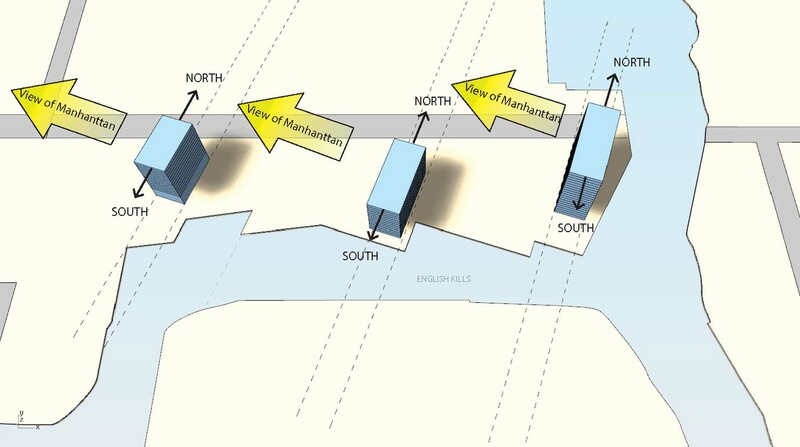 The design approach aligns with New York City’s Vision 2020 plan to improve the city’s waterfront. Tower to the west is dedicated as artist’s studio, tower in the middle is an art hotel, and the tallest tower to the East is a condominium. 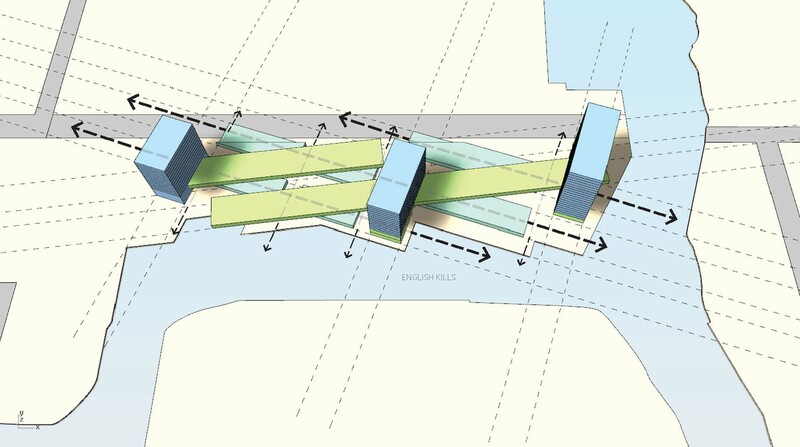 The project will create a quiet but exciting destination along the English Kills. 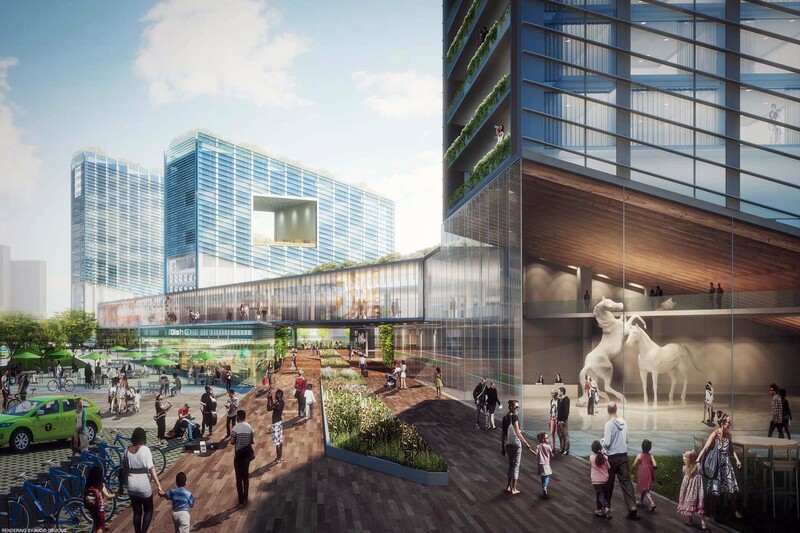 It will echo the other big project, Willets Point Development, on the other end of the river. 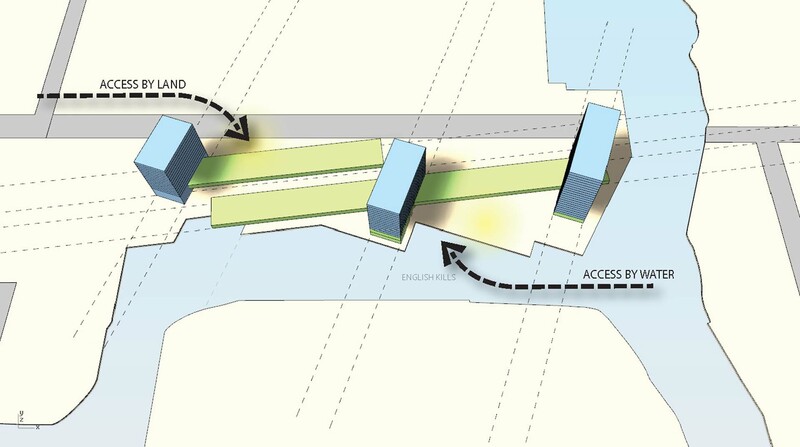 Avoid Obvious Architect provided master plan design to convert an existing industrial site in Williamsburg, Brooklyn into a mixed use development with three high-rise towers. 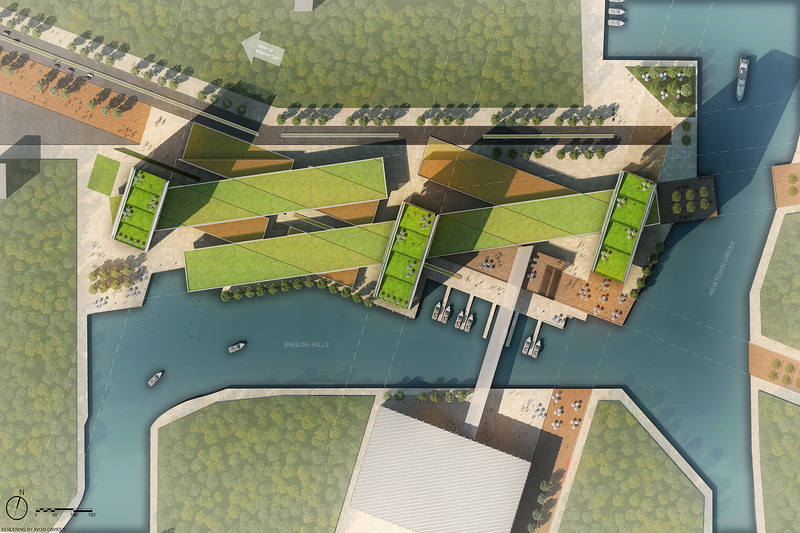 The idea of the master plan is to connect all three buildings to views, contexts and people. It will create a quiet yet exciting destination along the English Kills. 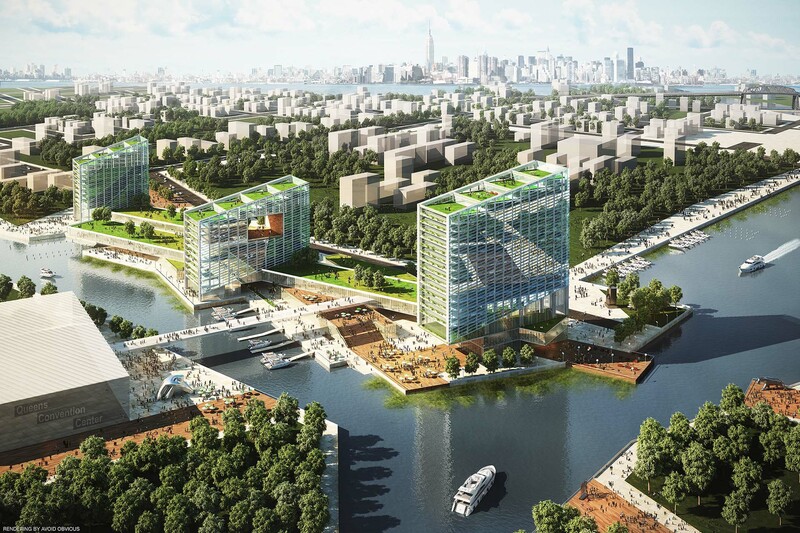 It will echo the other big project, Willets Point Development, on the other end of the river.